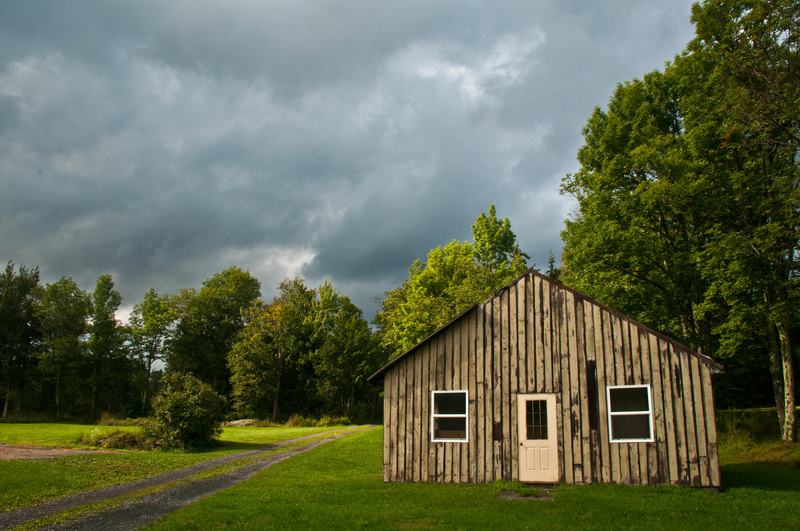 The Mountain Top Historical Society (MTHS), based in Haines Falls, is simply amazing for the amount of work they do to preserve, chronicle, and educate people about the history and culture of this area of the Catskills called “the mountain top” — think Route 23A in Greene County, Hunter, Tannersville, Haines Falls, and you get the idea of the location of this fascinating region. Yesterday I journeyed to the MTHS’ beautiful 20-acre campus to view their current exhibition celebrating the 125th anniversary of Twilight Park. How to describe Twilight Park? Discreet. Low key. If you’re driving west on 23A, keep your eyes peeled for the left-hand turn once you exit Kaaterskill Clove or you’ll miss the entrance. 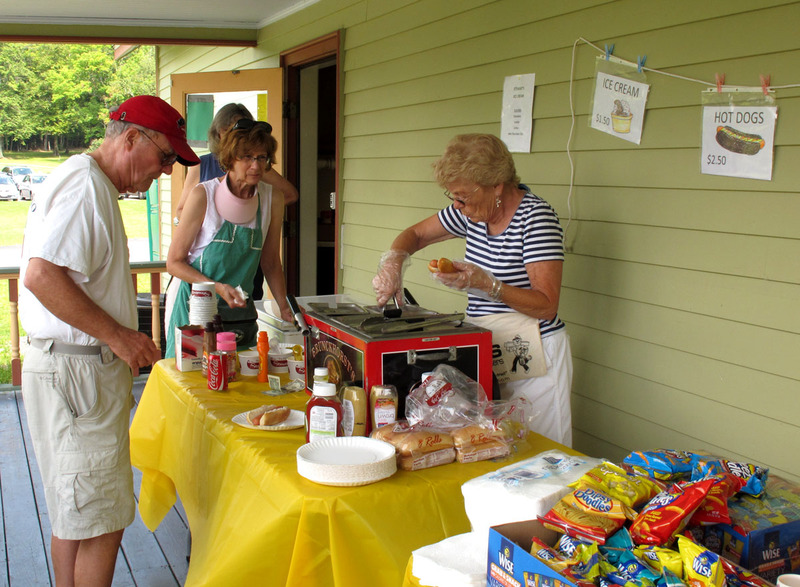 Twilight Park is a summer community founded by Charles T. Wingate in 1888, at a time when such communities were growing in popularity. 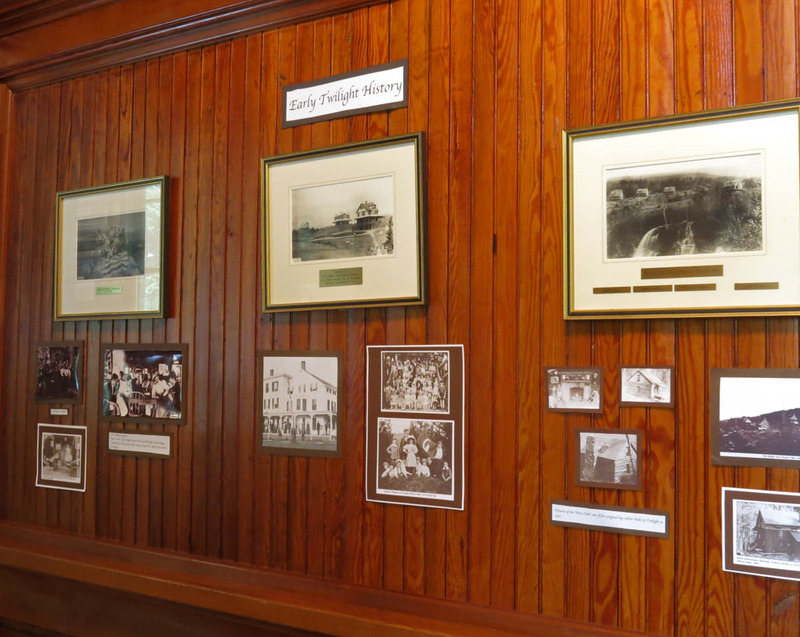 It didn’t take long for the new community to experience considerable growth: by July 1888 there were already six log cabins, five cottages, a clubhouse, a pharmacy, and tennis courts. 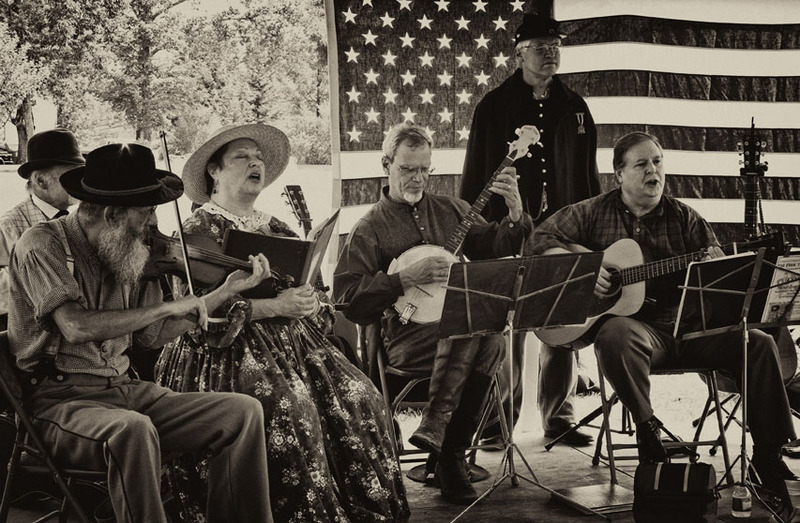 Sports of all kinds have been a mainstay of Twilight Park, as have the arts. The first exhibit of the Twilight Park Artists was held in August 1947. Originally begun as an experiment exclusively for Twilight Park residents, the show is now open to all artists and is held the second weekend of August. 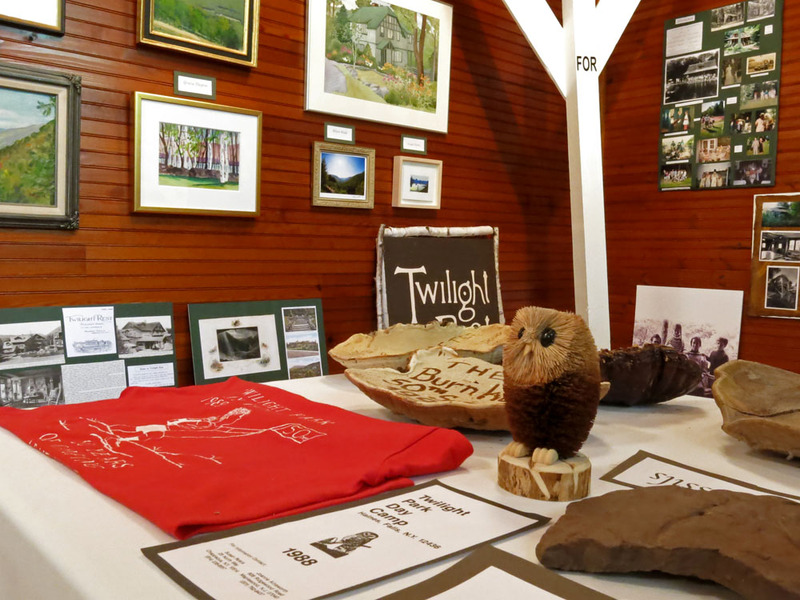 The MTHS exhibit celebrating the 125 years of Twilight Park is a comprehensive and varied collection of memorabilia that brings to life this Northern Catskills summer community. 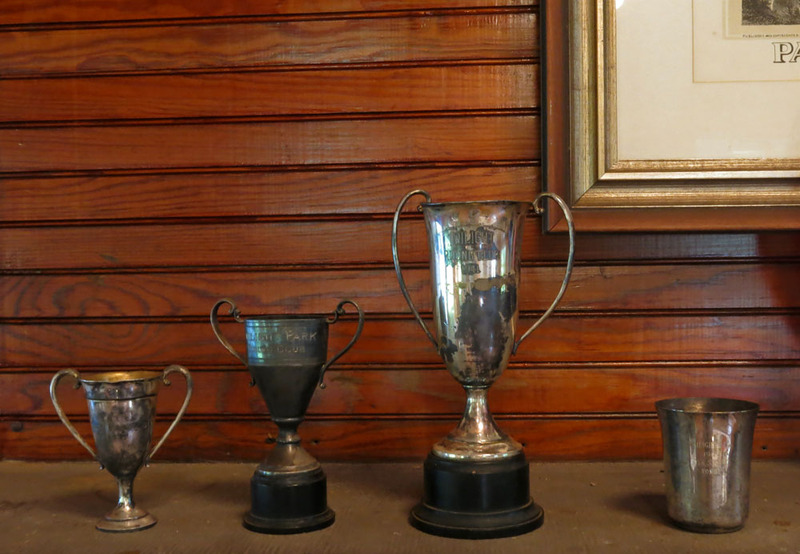 Sports trophies abound, as do visuals documenting the community’s ongoing interest in and involvement with the arts. There is even a tea set from the days when the Ladies Auxiliary held tea lunches to benefit the local church. 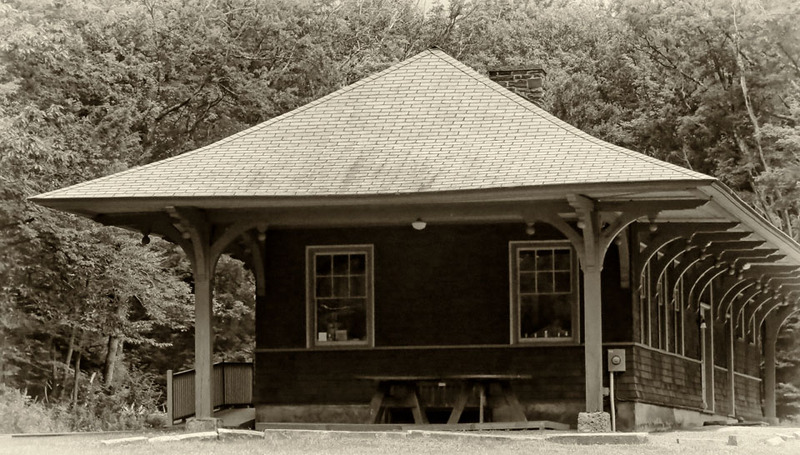 The exhibit is in the restored Ulster & Delaware Railroad Train Station on the MTHS campus. Enhancing the exhibit will be two upcoming lectures. On Friday July 12 at 8 pm, historian Bob Gildersleeve and Joanne Ainsworth, author of We Are Creating a Community, will present “Creating a Community: Early Images of Twilight Park” in which they will introduce glass plate negatives that have been donated to the Society by Dr. Stanley Leavy. On Friday July 19 at 8 pm Nicholas Lemann will present “The Prehistory of Twilight Park,” focusing on Charles Wingate, the Twilight Club in New York City, and the historical and intellectual thinking that gave rise to Twilight Park and similar communities. If you’re interested in the history of an amazing community in the Northern Catskills and want a great introduction to the tireless work of the Mountain Top Historical Society and its picturesque surroundings, I can highly recommending attending one of these events. Visit the MTHS website for further information. 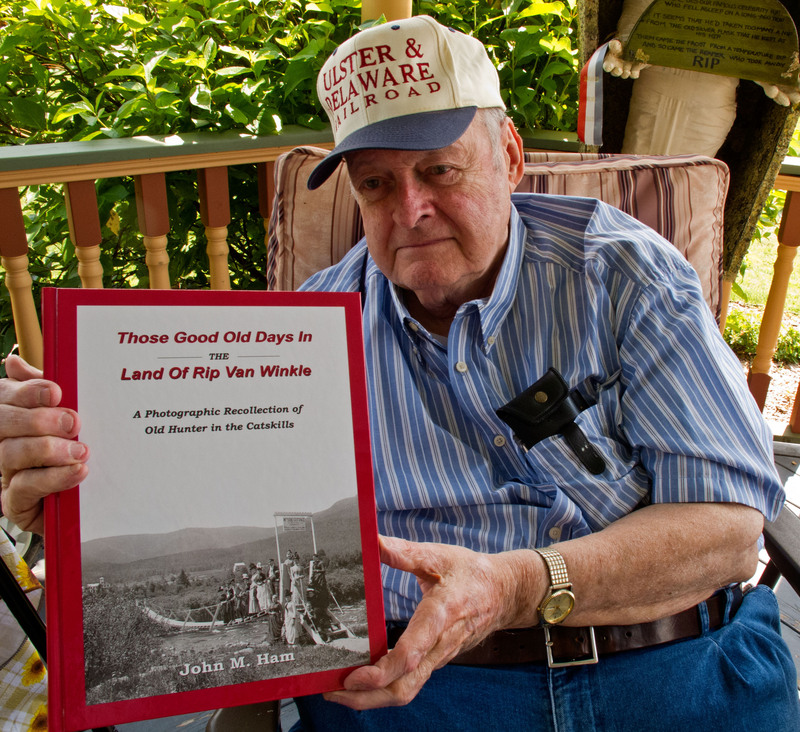 IN OTHER NEWS: Our book Historic Hudson Valley: A Photographic Tour is published this month! Click the image for details.